The Wilson Staff D300 driver has an aerodynamic design with Visible Micro Vortex Generators on the top to help reduce drag forces for increased club head speed and greater distance. 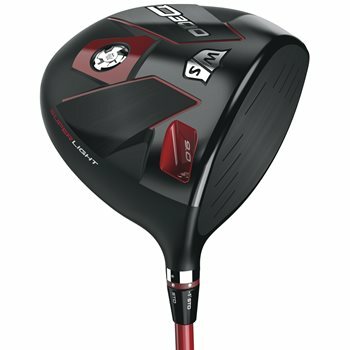 The driver features Right Light Technology making it the lightest adjustable driver on the market and has an interchangeable sole weight to provide a faster swing with the same amount of effort. The driver is also equipped with Fast Fit Technology, one of the lightest, smallest, fastest, and easiest to use adjustable hosel systems with six settings including three draw options.